Are you eagerly waiting for the baby to come and hold it for the first time in your hands? Well, this is quite common, as nine months of expecting can seem like forever sometimes. As your due date is approaching it is also normal to wonder about when most women go into labor. Continue reading to find the answer. In most cases, babies are born between the 37th week of pregnancy and 42nd week of pregnancy. During these 5 weeks, you can go into labor at any time, so after week 37 you should get ready to expect your child. Within this time frame of five weeks, a birth is considered normal, so there is nothing for you to worry about. Babies born before the 37th week of pregnancy are known as preterm babies and probably they will need extra care. Twins or triplets are more likely to be preterm babies. In cases when the baby is born after the 42nd week of pregnancy, it is known as a prolonged pregnancy and in these cases, there is a higher risk for various complications. Will My Baby Be Born on My Due Date? When do most women go into labor? 37th to 42nd week of pregnancy. Then will you deliver your baby on the due date? Only about 4% of babies are born on their due date. No one can predict the exact time of labor, so as mentioned it is all considered normal within the time frame of five weeks. It is okay if your baby arrives a couple of days before your due date or passed your due date. Once you enter the 37th week you should prepare yourself mentally for labor as well as you should prepare all the things you and your baby will need while in a hospital and once you get back home. Note that a woman tends to have a longer pregnancy as she gets older, especially when she already had a longer pregnancy in previous births, or when a mother gains more pounds and gets heavier. 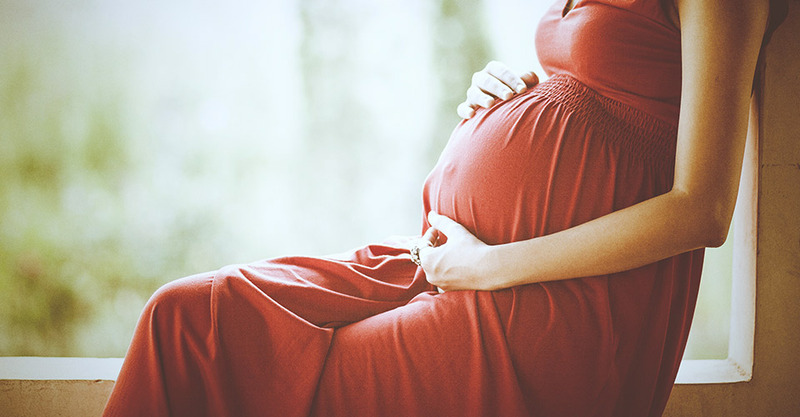 Shorter women tend to have a shorter pregnancy, while taller women tend to have a longer pregnancy. White European women also tend to have longer pregnancies compared to Asian or African women. When do most women go into labor? You already know the answer. Generally, a baby is born before the 37th week of pregnancy carries a higher risk for various complications such as brain and neurological complications, breathing problems, digestive problems, etc. They probably need extra care in order to survive. Often premature babies have difficulties during their development, and when starting school they may have some difficulties in learning compared to other children. The earlier the baby is born, the greater is the possibility for various complications and health problems. However, if a baby is born after the 32nd week of pregnancy, the prognosis is better compared to babies born before the 32nd week of pregnancy. In cases when a baby is born in a hospital with neonatal intensive care units, the chances for survival are greater. Don’t smoke, drink alcohol or take drugs while pregnant. Go to your prenatal visit as soon as you find out that you are pregnant. During the entire pregnancy, go to all recommended prenatal visits and follow carefully all the instructions your doctor gives you. Consult your doctor about how much weight you should gain during pregnancy and if possible, get to a healthy weight before your next pregnancy. Reduce stress as much as possible. Eat healthy foods, exercise regularly, get rest as much as possible and listen to your own body. Protect yourself from infections by carefully washing your hands and avoiding contact with anyone who currently has an infection. If you have chronic medical conditions such as diabetes, high blood pressure, thyroid problems, etc., try to get them under control with medications before even getting pregnant. When do most women go into labor? What if I have a prolonged pregnancy? A prolonged pregnancy is every pregnancy which lasts longer than 42 weeks. It's okay to past the due date for several days. However, in many hospitals labor is induced before the 42nd week of pregnancy in order to prevent possible complications of a prolonged pregnancy. The number of stillborn babies or babies who die immediately after birth increases between week 39 and week 42 of pregnancy. After the 42nd week, this risk increases steeply, especially when this is the first pregnancy. For this reason, it is better to induce labor than to wait for labor to start on its own. In most of the hospitals, a national guideline of induced labor is followed, which consists in inducing labor at 41 weeks pregnancy. What Are Chances of Getting Pregnant After Tubal Ligation?